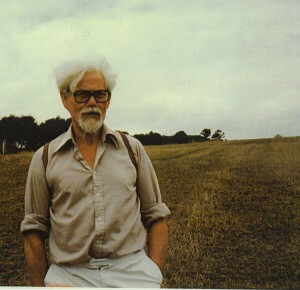 The George Walford International Essay Prize is an annual essay competition in memory of George Walford (May 1919 – August 1994). The subject of the essay is systematic ideology and the prize is £3,500 for the winner to spend at the college and on the course of the winner’s choice. Everything necessary to apply for, research and win this Prize can be found at the George Walford International Essay Prize. Systematic ideology is a study of ideologies founded in 1938 in London, England by Harold Walsby, George Walford and others. It seeks to understand the origin and development of ideologies, how ideologies and ideological groups work together, and the possibility of guiding the development of ideologies on a global scale. The basic premise of systematic ideology is that ideology is the central motivator in human affairs; that the characteristics that make up the major ideologies come in sets; that those sets of characteristics form a series; and that the ideological series forms a system. The George Walford International Essay Prize is registered with The Charity Commission for England and Wales, number 1071002. The George Walford International Essay Prize (GWIEP) is an annual essay competition in memory of the late George Walford. The subject of the essay is systematic ideology and the prize is £3,500 for the winner to spend at the college and on the course of his or her choice. Everything needed to apply for, research and win this prize can be found at no cost at this site. GWIEP is registered with The Charity Commission for England and Wales, number 1071002.